Comment: I'd like to have privacy between my bedroom and neighbors driveways. Comment: We would like to replace old existing hogwire fencing and add new fencing for goat pasture. We would need removal of old fencing, clearing of bushes and ground cover,as well as add new fencing. Comment: I would like to get an estimate for installing a wrought iron electric gate. I have one gate and need the other to match the current gate. 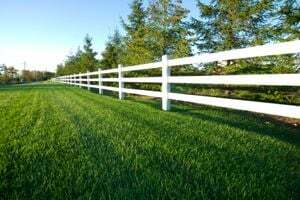 Maple Valley Fence Contractors are rated 4.75 out of 5 based on 307 reviews of 22 pros. Not Looking for Fences Contractors in Maple Valley, WA?